World premiere recording of the show as seen in York Theatre's production of this delightful musical with music and lyrics by Stephen Schwartz. Based on the "The Trip" by Ezra Jack Keats, with book by Anthony Stein. Captain Louie is the story of a young boy on Halloween night who escapes into his own imagination as a means of coping with the loneliness he feels when he moves to a new neighborhood. The show has been adapted for the stage by Anthony Stein, and is based on "The Trip" by Caldecott Award winner Ezra Jack Keats who authored and illustrated 24 children's classics, including the Caldecott Award winning "The Snowy Day" and the Caldecott Honor Book, "Goggles". 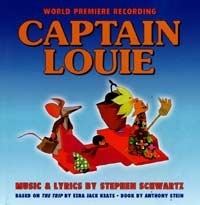 Stephen Schwartz's charming family musical is now available in this world premiere recording. "Child-size entertainment with adult-size talent -- The music alone should have all ages soaring." "Although it is geared for a younger audience, Captain Louie is a great musical for all ages....A new and sensational musical." 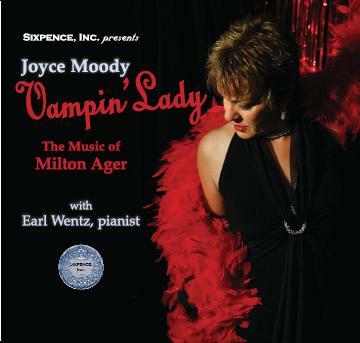 Singer Joyce Moody wraps her robust voice around the honky-tonk tunes and smoky ballads of great American composer Milton Ager. Pianist Earl Wentz brings his deft touch to the keyboard. Click on the item for a full description! The cabaret songs of Clark Gesner, the composer and lyricist of You're a Good Man, Charlie Brown. York's cast includes Gessner himself!